Or maybe it’s the wine? The wine has loosened my tongue and inner editor. to create, to sing, to express myself, to unite with other ukelele players, to uncover the hidden or scared musician wannabee. 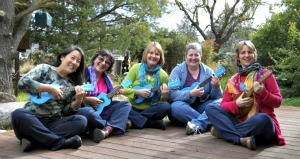 Thank goodness I began my ukulele adventure with other unschooling moms. apologize less and enjoy more. I can find all sorts of tutorials online. I can practice as much or as little as I want to choose the amount of progress I want based on what I want to put in. It is easy to find a standard to try to live up to if I want, like my favorite of Iz playing the Somewhere Over the Rainbow/ It’s a Wonderful World medley. 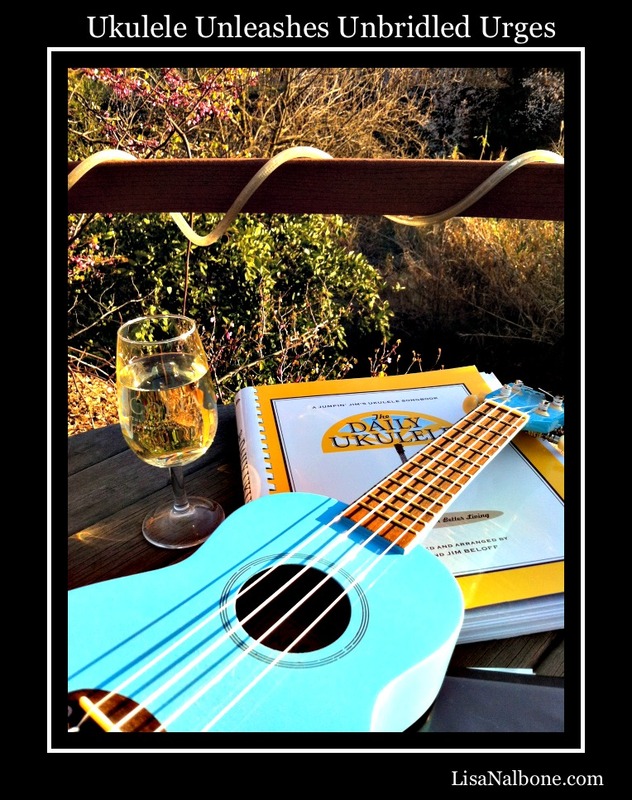 Or , I can happily croon Ukulele Lady on the deck all by myself, without a care as to how any one else would play it. Or, I can do both. Celebrating choice, uniqueness and collaboration when desired. Unlearning old messages that no longer serve us. Undoubtedly. 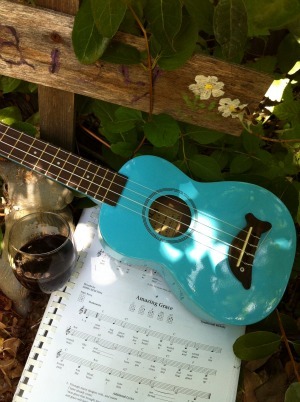 Dr. Uke likes those anti-oxidants, along with a wet whistle to help the songs along. sounds fine by me. there will be wine involved, right? Umm, if you are ok with crooning on the slow side. In addition to my strumming impairment, I tend to make everything a ballad. Thanks! I love being able to take photos with my phone. ditto what jen said. it makes my heart happy to know that music, in whatever form, has a similar effect on others as it does on me. quite wonderful! really good philosophy for all of us to take to heart. and beautiful pics! I absolutely LOVE this. True Love.